Annie’s owners are Tracy and Diane Shaffer and we feel very fortunate to find such an excellent home for her. TADD’s Honky Tonk Cowgirl is now a Champion. 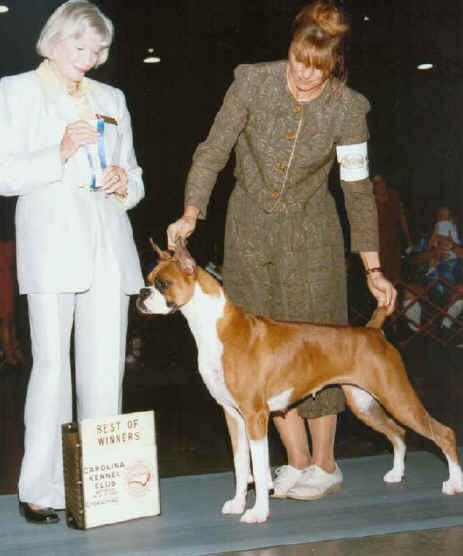 She went Best-of-Winners for a five point major at the Northeast Boxer Club Specialty in Deland FL where she was shown by Kay Palade. Annie was sired by our CH. Schmittad’s Rhinestone Cowboy and is the first Cowgirl to finish.